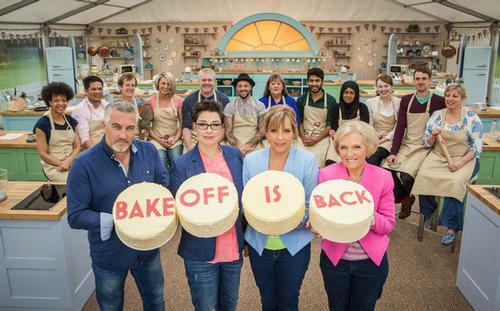 Already Filled Up on The Great British Baking Show? Taste Test These Satisfying Cooking Reads! Ah December – the days are shorter, the nights are longer, and the temperature is dropping. It's the time of year when cooking and baking seem the coziest of activities. However, if you are like me are not necessarily the best baker, you might get that cozyness vicariously by bingeing episodes of The Great British Baking Show (Mel and Sue forever!). Run through all of the seasons already? Never fear – there are some satisfying cooking reads in your future! Seventeen-year-old Lainey dreams of becoming a world famous chef one day and maybe even having her own cooking show. (Do you know how many African American female chefs there aren’t? And how many vegetarian chefs have their own shows? The field is wide open for stardom!) But when her best friend—and secret crush—suddenly leaves town, Lainey finds herself alone in the kitchen. With a little help from Saint Julia (Child, of course), Lainey finds solace in her cooking as she comes to terms with the past and begins a new recipe for the future. Lucy Knisley loves food. The daughter of a chef and a gourmet, this talented young cartoonist comes by her obsession honestly. In her forthright, thoughtful, and funny memoir, Lucy traces key episodes in her life thus far, framed by what she was eating at the time and lessons learned about food, cooking, and life. Each chapter is bookended with an illustrated recipe—many of them treasured family dishes, and a few of them Lucy's original inventions. When his older brother, Felix—who has dropped out of college to live a life of travel—is tragically killed, Carlos begins hearing his brother’s voice, giving him advice and pushing him to rebel against his father’s plan for him. Worrying about his mental health, but knowing the voice is right, Carlos runs away to the United States and manages to secure a job with his favorite celebrity chef. As he works to improve his skills in the kitchen and pursue his dream, he begins to fall for his boss’s daughter—a fact that could end his career before it begins. Finally living for himself, Carlos must decide what’s most important to him and where his true path really lies. Did I miss your food-themed favorite? Let me know in the comments! Run through all of the seasons already? Never fear – there are some satisfying cooking reads in your future! Add a Comment to Already Filled Up on The Great British Baking Show? Taste Test These Satisfying Cooking Reads!